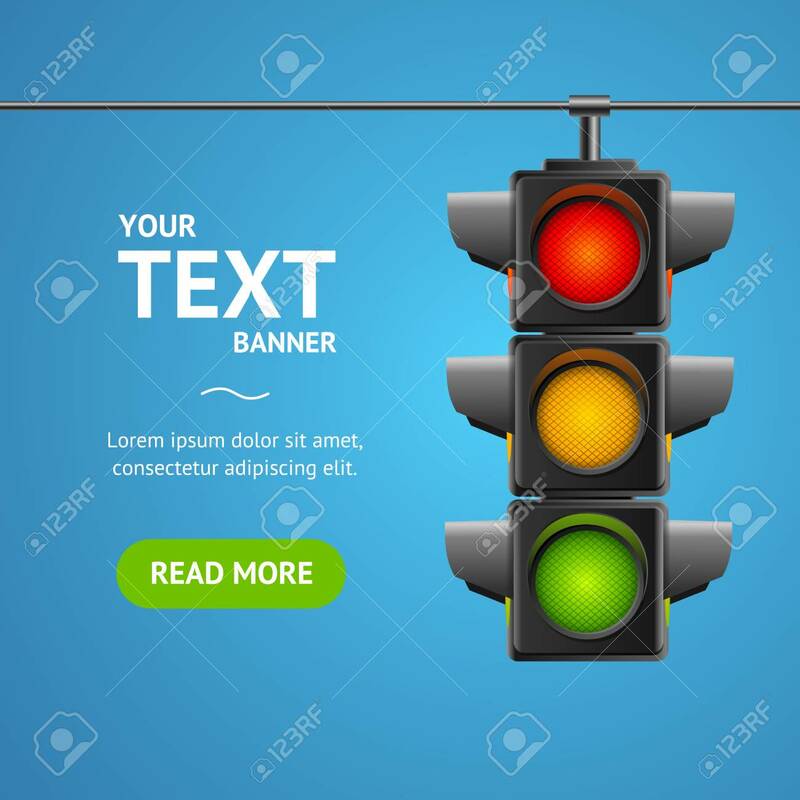 Cartoon Traffic Light Banner Card Business Concept Place For Text Element Flat Design Style. Vector Illustration Of Stoplight Lizenzfrei Nutzbare Vektorgrafiken, Clip Arts, Illustrationen. Image 114725939.